AC/DC co-founder Malcolm Young has died at the age of 64 after a long battle with dementia. The Australian guitarist died peacefully on November 18 with his family nearby, a statement said. 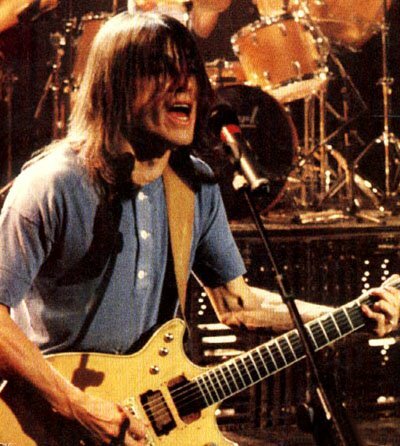 Malcolm Young will be remembered for his powerful rhythm guitar riffs that were instrumental in propelling the Sydney heavy rock group to stardom. Three Young brothers have been part of AC/DC’s history, including lead guitarist Angus. Malcolm’s brother, producer George Young, died in October. The statement read: “Renowned for his musical prowess, Malcolm was a songwriter, guitarist, performer, producer and visionary who inspired many. After founding AC/DC in 1973, the Young brothers were credited as co-writers on every song the band recorded by the band between their 1975 debut High Voltage through to 2014’s Rock or Bust. Malcolm Young was born in 1953 in Glasgow before his family emigrated to Australia when he was 10. His family confirmed he was suffering from dementia in 2014. The musician wrote much of the band’s the material that enabled AC/DC to become one of the biggest heavy rock bands, including Back In Black, Highway to Hell and You Shook Me All Night Long. AC/DC is estimated to have sold more than 200 million records worldwide, including 71.5 million albums in the US. A statement by the artist’s brother Angus on the AC/DC website praises Malcolm Young’s “enormous dedication and commitment” which made him “the driving force behind the band” who “always stuck to his guns and did and said exactly what he wanted”.